Salt Wood Company’s complete line of handcrafted wood furniture and custom pieces from reclaimed wood with natural organic finishes is available on an enhanced website. 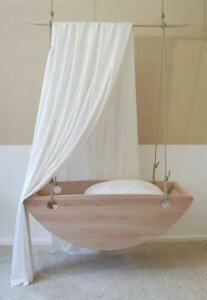 Products range from a custom bed-swing bassinet made of cypress with an all organic finish and a modern rustic bench created from heart pine with a natural finish with soy based stain and organic paste wax to rustic bowls and boxes designed from reclaimed oak wood and finished with an organic oxidation process and protected with mineral oil. On the updated site shoppers see more detailed views of the products, related product advice, detailed information on crafting processes and customer testimonials. Formed in late 2013 by Vann Cochran, Salt Wood Co. creates one of a kind handcrafted furniture and boxes from reclaimed wood. Each piece comes with a story born out of the origin of the wood with recent pieces from a mill in upstate SC and The Vendue Inn in Charleston’s 1780 structure. Additionally, Salt Wood Co. offers many finishes from an artistic milk paint wash to oxidized mineral finishes. Salt Wood Co. has the privilege of giving wood a second chance and designing creations that can be passed on for generations. For additional information about the company or to view the gallery, visit www.saltwoodco.com.